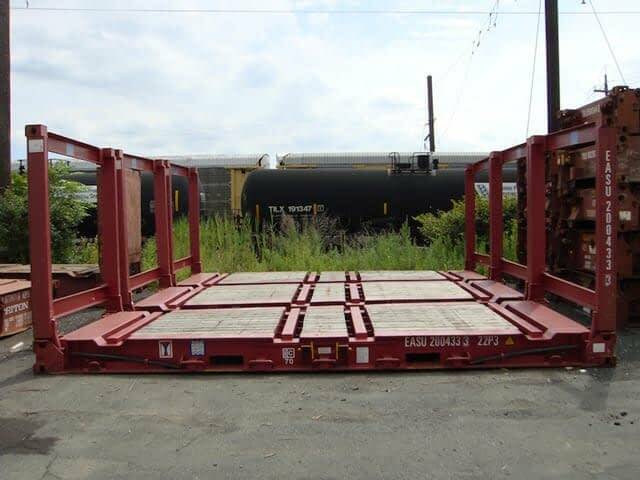 Our compliment of inventory includes Used 20ft L X 8ft W X 8’6” H collapsible or fixed-end Racks. We offer fixed end bolsters when equipment is not available to lift the ends. Collapsible Racks are equipped with flush folding front walls that fold down to function as a platform or easy stacking for economical transportation or storage. One and a quarter inch heavy duty wooden marine decking.